Hi all, I spent last week chasing the eclipse down to Nebraska. Here are some of the highlights. Good morning Sunshine! Can’t wait for your show today! But thankfully, there were enough breaks in the clouds to get some good partial shots. Unfortunately, it clouded over completely just before totality. But we did see some amazing 360-degree sunset colors all around us. Then, right after totality, the clouds cleared up almost completely. I think the sudden temperature drop cleared much of the condensation in the air, and we ended up with a 180-degree sunbow arc! 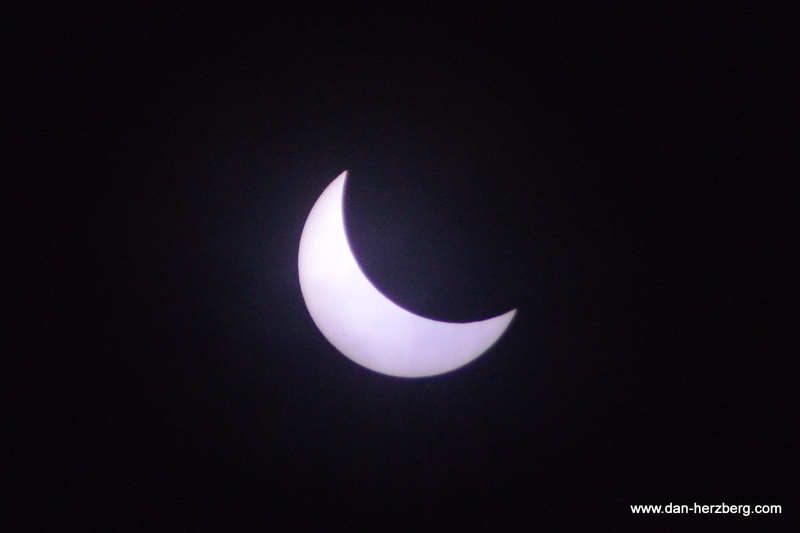 Then it was perfectly clear skies for the rest of the partial eclipse.